Christmas is a time of year that always comes complete with its own style of special recipes and treats. I know in our household we have our favourites that we have every single year without fail. It just wouldn’t be Christmas without them (at least it feels that way), but we also have fun introducing a couple of new ones each year too that may or may not become regular favourites. I have put together a Christmas recipe round up including some of our family favourites, as well as some of the recipes I am considering to spice up our festive menu this year, which will hopefully give you plenty of delicious inspiration for next week’s feast! It’s not Christmas without rum balls… well maybe that’s just in our household, but we seriously love them. And it may be funny to some, but we always make them half with rum and half without. Kid friendly and dad friendly that way, and they still taste amazing! But perhaps instead of rum balls, we just call them ‘balls’. You can mix it up with your rum balls by soaking sultanas in rum and making your balls around the sultanas for a really strong rum flavour. Or some people like to have a nut in the centre. Pretty diverse really! Not sure what it is in our household but we go excessive on Christmas dessert. Of course there is always plum puddings.. store bought though as none of us have tried making one … yet! But since half the family doesn’t like it, we also end up with pavlova and caramel tart. This is my easy pavlova recipe. It’s almost fail proof! And perfect with some whipped cream and fruit on top. 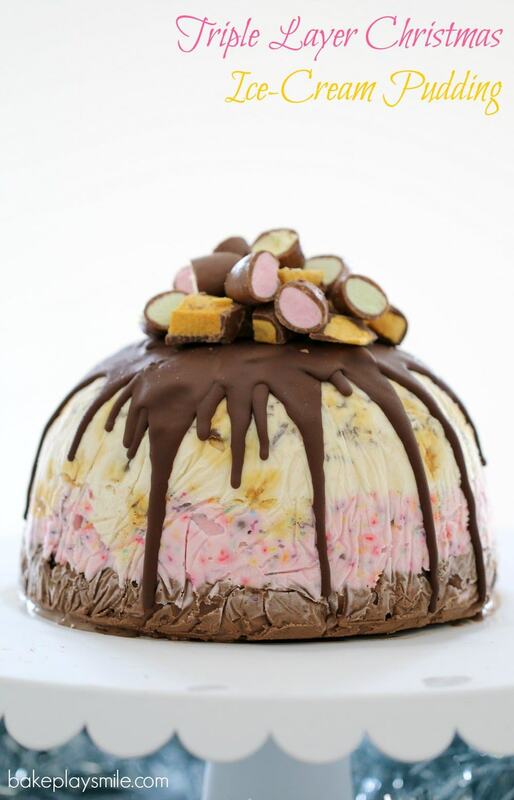 It can also be all sorts of amazing with a crushed Cadbury flake or some sort of mint chocolate. Some people also like to make chocolate cream, but I’m happy with my vanilla version. I made a simpler version of an ice cream christmas pudding 2 years ago (we didn’t host last year) and it was a hit. This version by Lucy over at Bake Play Smile looks pretty amazing! It’s a great option for anyone who isn’t a fan of the traditional plum pudding while still giving that pudding vibe. Plus it’s great for the hotter summer days most of Australia is accustomed to! They are pretty easy to throw together too and probably cheaper than a traditional plum pudding! My husband is the master of the glazed ham and most years he experiments a little with his glaze and his method, often using the outdoor kettle barbeque these days. 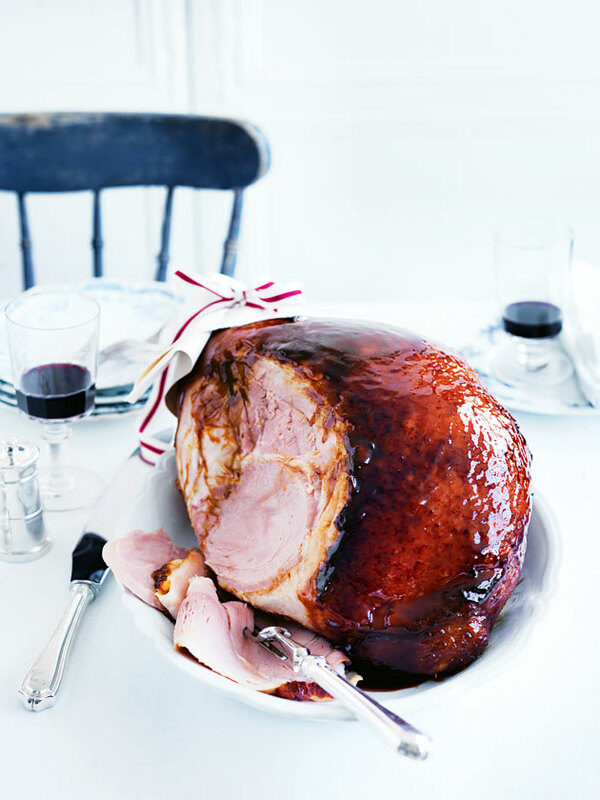 One of our recent hams was done with this great Cheat’s glazed ham recipe from Donna Hay that was from her Christmas special in 2013. It was so tasty and moist. One we will be doing again for sure! Growing up we never did glazed ham. Always cold but I love the new tradition my husband has given my family now too. If you want to make a really quick sweet for Christmas that looks really great, this peppermint bark is a perfect Christmas recipe to add to your collection. 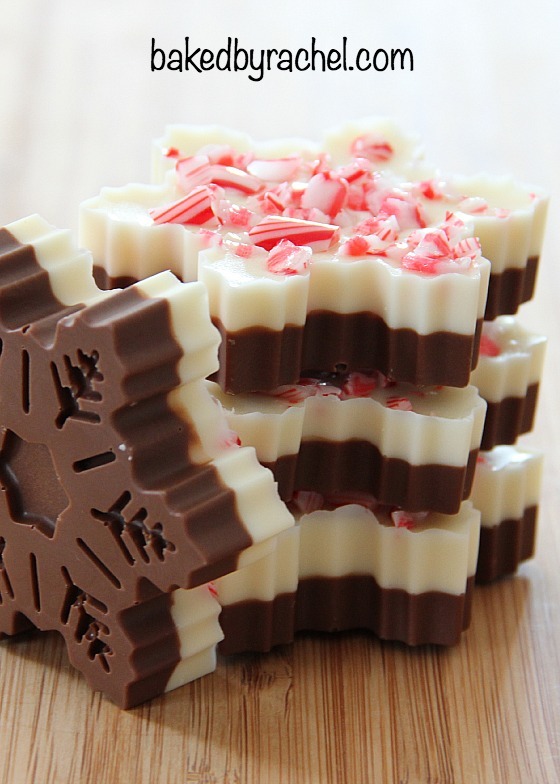 It’s essentially just chocolate with broken up candy canes, so very indulgent and rich but they look really pretty. Don’t make them too thick though or you may almost break your teeth biting into one straight out of the fridge! I started making mine a fair bit thinner than this but all you need is a shaped baking or ice mould. The other must have family Christmas recipes on our menu each year are a mixture of Australian and Polish influences… each of our backgrounds. We have mum’s special coleslaw which is nothing like the kind you get most places. I like to think it’s a little more Australianised with cheese, pineapple and all the usual mixtures of goodness. Plus hubby’s family always make Polish tartare sauce which is actually more of a chunky salad version than the kind you’re used to having on your fish and chips. Sounds strange but we can’t do Christmas without it now. And my sister is the caramel tart queen in our family too. I know they are easy, yet I’ve never attempted to make one. What is a must on your Christmas recipes roundup at home? Give it a go. Not nearly as scary as most people expect lol a good oven helps. 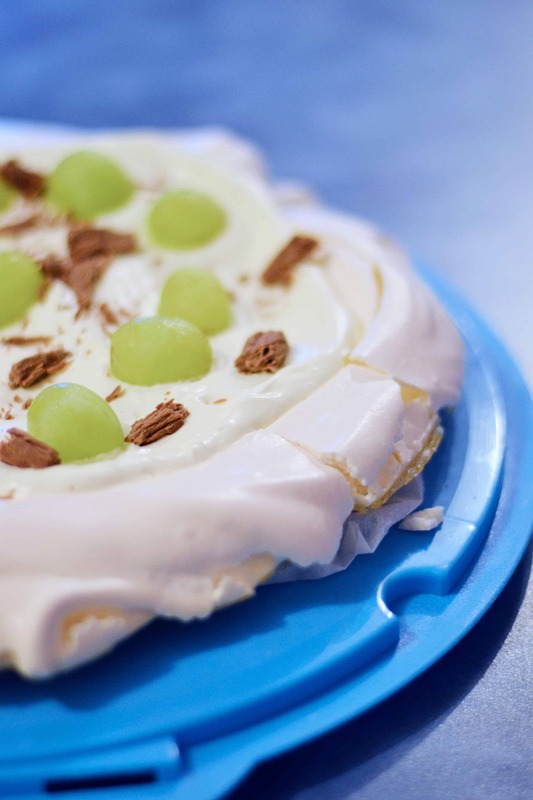 My old one was too hot so there wasn’t much crunch but it still wasn’t a pavlova disaster ?